Ulrich and Odd improvise a rescue mission for Sam using rope and javelins to break through the windows and create a makeshift zipline to the other building, then head to the bottom floor which is already far underground. 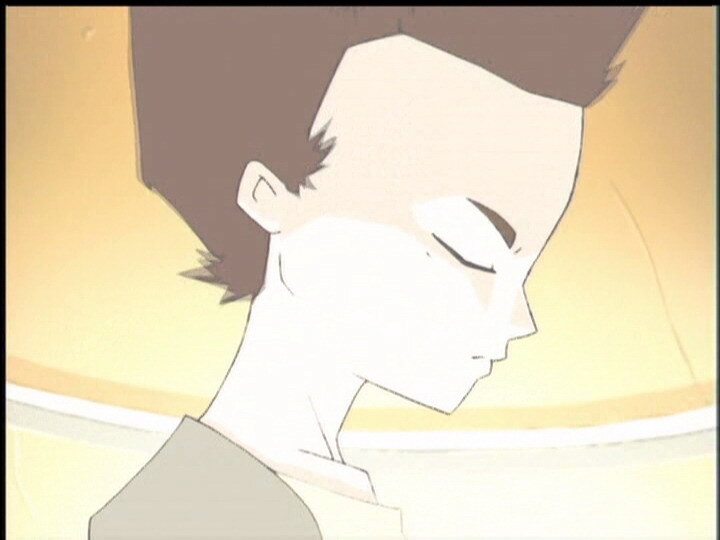 Jeremy meets Yumi at the factory and sends her to Aelita. The two girls are confronted by all sorts of obstacles; moving rocks they need to jump across. Starting over again, Odd takes Sam to Jeremy’s room, who explains how to do what she wanted without having to steal equipment as Odd looks on, amused. - Attack: Render the ground as soft as quicksand. - Return to the past to return the ground to its original state, and erase Jim and Sam’s memory. - Ulrich and Jeremy play chess. 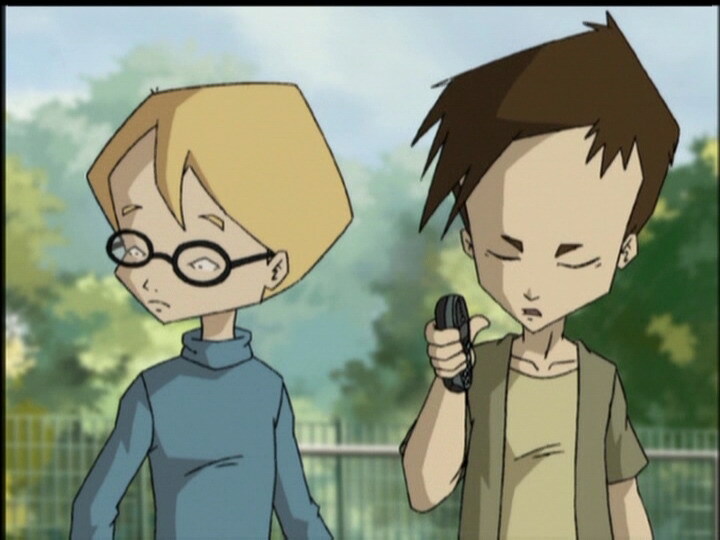 - Odd has a crush on Samantha, a rebellious girl from a local school who makes her first appearance and discovers the factory in this episode, and reappears in episode 65, “Final Round”. - Ulrich, Jeremy and Odd stay at Kadic during holidays. - In the English dub, Odd lies and says Samantha goes to Kadic. She actually goes to a neighbouring school called Mathinson. - Jim says the use of mobile phones is forbidden on campus. However, throughout the series, the majority of students use them during lunch break and in their dorms. - The halo on one of the Desert towers is absent. 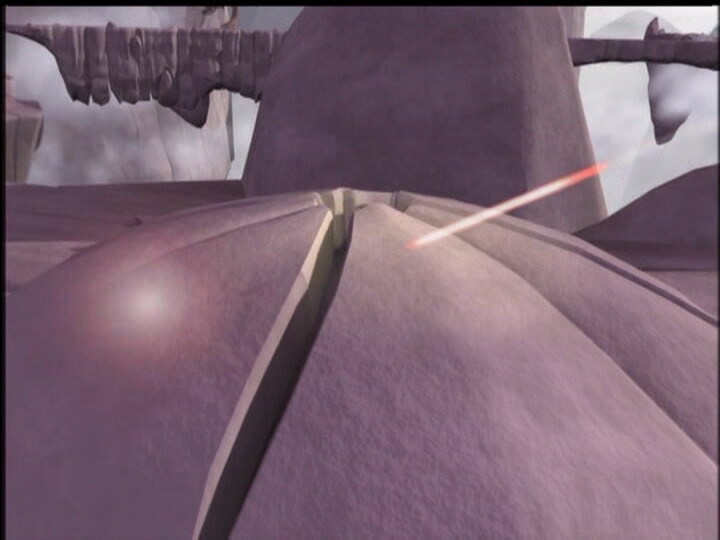 - The halo of the activated tower disappears before the last Hornet is destroyed. 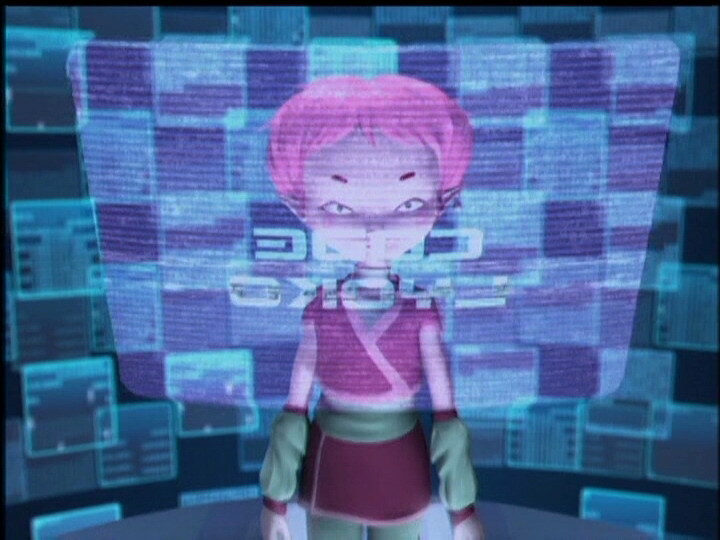 - The mouse of Jeremy’s computer disappears when he tells Aelita he’s having trouble contacting Lyoko. - Jim no longer has his band-aid when he asks what Odd is doing with the laptop Sam was going to steal. - At the moment when Odd and Sam enter Jeremy’s room, the door handle is on the right instead of the left. - The factory microphone changes often (wired or wireless) and it disappears from Jeremy’s left ear just before he says “Transfer Odd”. - When Jeremy enters the lab, the buttons on the lift disappear, as well as after Ulrich and Odd leave Sam with Jeremy. 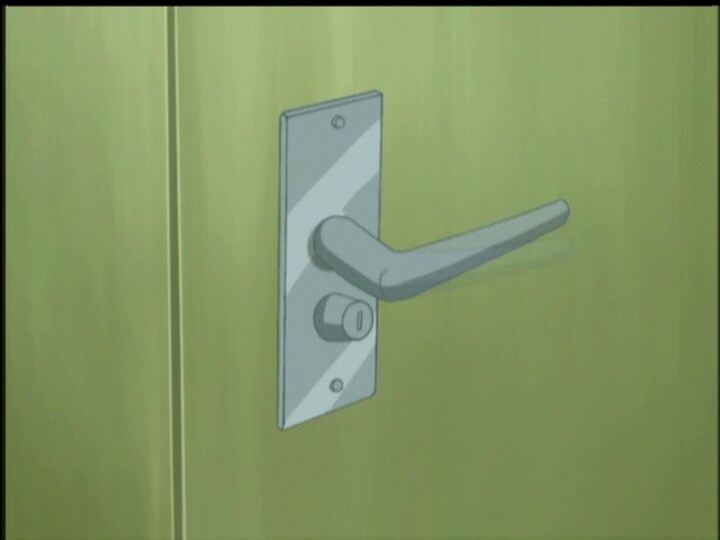 - Just before Ulrich kicks the IT room door down, we notice a second door handle when there’s only one. - Odd’s pants are entirely the one shade of purple when Jeremy gets up to ead to physics class, and the colours are inversed when we see him with Sam and Ulrich in the lift and during his transfer. 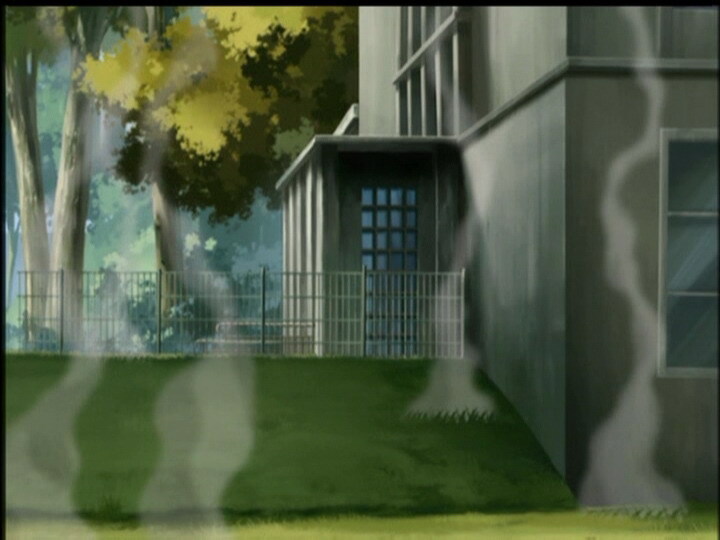 - Odd asks how he and Ulrich are going to get into the science building because the door has supposedly been submerged, but we see the doors haven’t been reached yet when they run past. 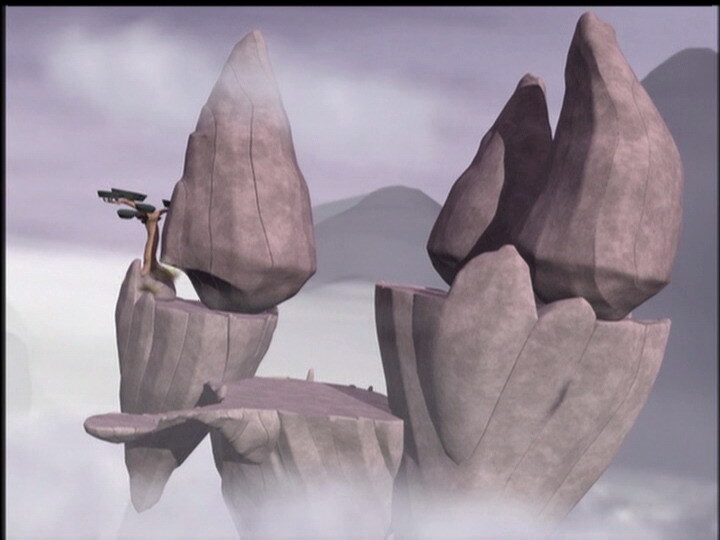 Indeed it appears that in season 4 Lyoko is an island adrift in the Global Network. - The music Jim is listening to when he’s working out in his room is “Eye of the Tiger” by the American rock group Survivor. Mr Ishiyama: A gathering to do homework together? Or to wreck the living room? Mr Ishiyama: Hm…you mean those three clowns? Yumi: But Daddy, you hardly even know them! Ulrich: Theo and Benjamin said they would come, but what are we gonna do about Sissi? Wouldn’t break my heart if she didn’t come! She and that horrible music she’d bring with her! 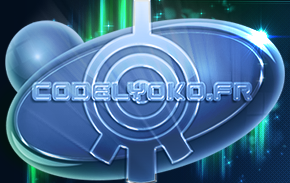 Odd: Hey, leave the music to me! Wait ‘til you see the surprise I’ve got in store for you! We’re gonna have a real DJ, guys! You’ll see, no dumb music for us, we’re gonna rock! Odd (playing commentator for Yumi over the phone): And now it’s time for Ulrich to get ready and enter the starting block! Tensions are high, ladies and gentlemen, as he zeroes in on his objective! The timekeeper’s about to signal the departure! Odd: And he’s off and running! What grace, what agility, and what great speed he’s got! And here we go…he’s ready for the sliding phase! What perfect knee co-ordination! Ready…stop! Yumi (on the phone): Really? Ulrich went farther than you? Ulrich: Well then, how did I make out? Jeremy: A new dorm record! Jim (arriving): What’s all this racket about?! Odd: Gotta hang up. Secret code: big fat clown. Yumi: Gotcha! Ok, talk to you later! Jim: If for once you guys took a vacation, I’d have some peace and quiet! Odd: That just goes to show you just how much we love this place! Jim: Oh yeah? Well I bet that’s ‘cause at home your parents are sick of ya! I sympathise with them! Ulrich: Is this your surprise disc jockey, huh? Odd: Yeah, you-you mean you don’t recognise her? She goes to school here! Her name’s Samantha. Uh, see you later, I’ve got some work to do. Ulrich (mocking): You’re not gonna introduce us to her? Samantha: Can’t we stop talking about music? We’ve got better things to do, don’t you think? Ready for a big thrill session? Odd: Hey, cut that out! Put that down, you hear?! What are you doing? Samantha: If I’m gonna make music, I need a powerful computer, but I’m broke, so I have no choice but to rip this one off. Your school’s insured, so everybody’s happy, right? Odd: Wrong! Insurance or not, stealing’s a crime! And besides, nobody…does that around here! Ulrich: Can I maybe try beating you at, like, karate? Jim: Well Odd, this time, you are in one heck of a jam. That’s for sure, kid. Caught in the act stealing a computer that is school property isn’t like not doing your homework! Jim: What do you think I am, an idiot? I want the truth right now! (Odd stays silent) You stole it, didn’t you? This time it’s the school disciplinary council, and you might just get expelled! Jim: The use of cell phones is strictly forbidden on school grounds. (Odd turns away and picks up) Hand it over, confiscated! 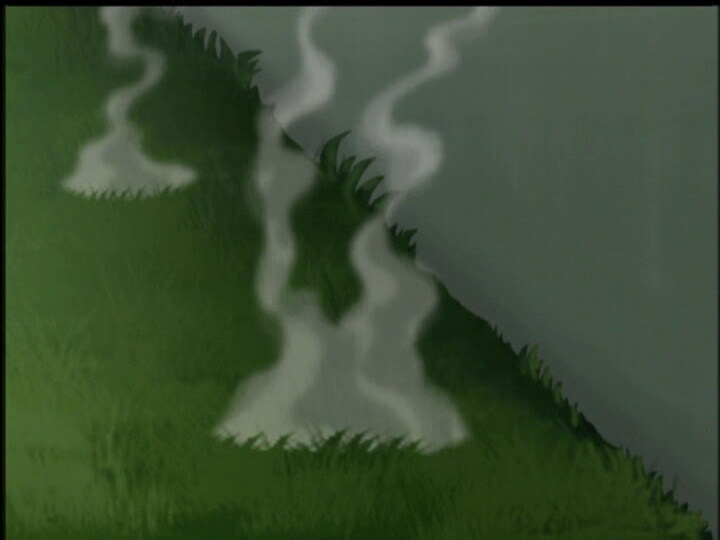 Jeremy: Yumi, you’re off to the Mountain region! 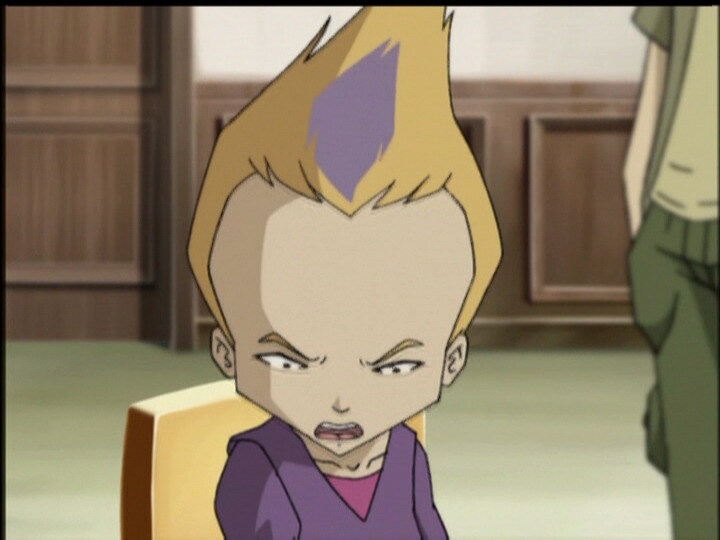 I’ve got problems connecting to Lyoko, the landing could be rough! Samantha: Oh, Odd, I’m sorry! 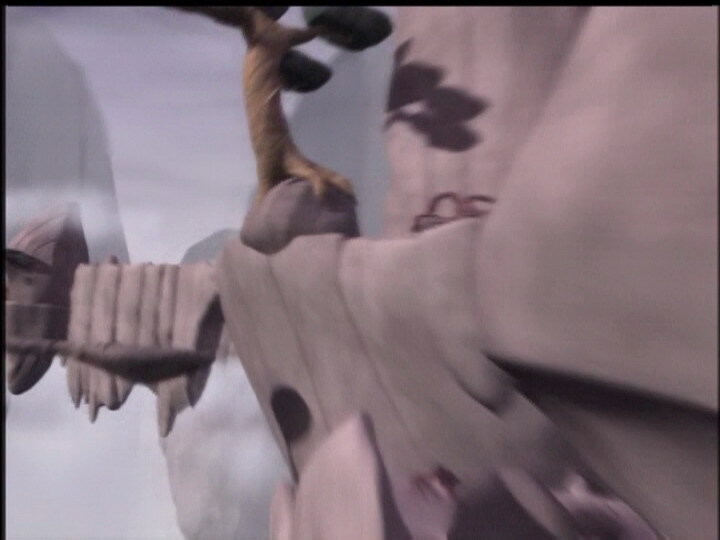 Ulrich: I hate to bother you guys, but we gotta get out of here, and fast too! 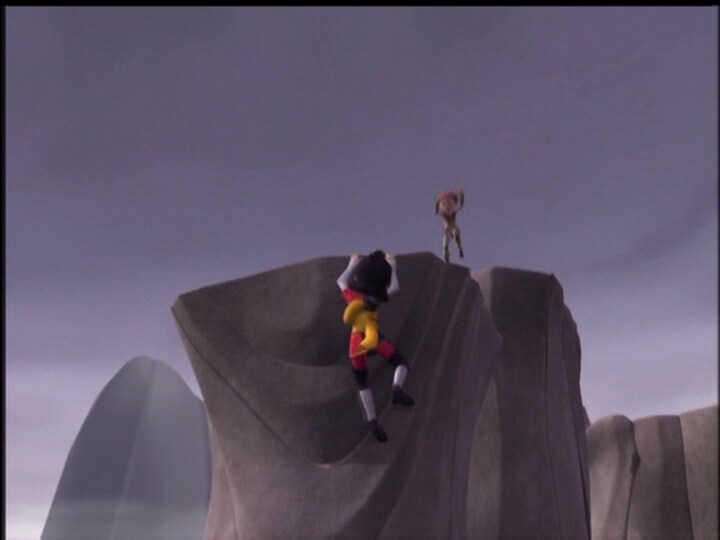 Aelita: The tower’s not far from here, in that direction! Yumi: Well this promises to be a charming stroll! Jim: Can you hear me? Listen, I’m calling from the junior high school! I work here at the school and I need your help! Listen, it’s a real emergency! I’m stuck in a closet with tonnes of mud, so get here fast! No, lady, this is not a practical joke! No, I can’t wait any longer! Help me!!! Samantha: Odd, I don’t understand any of this! What’s going on, huh? Odd: Sorry, there’s no time to explain! You keep Jeremy company and I’ll see you later! Odd: Sorry we’re late Aelita! This’ll convince you to forgive us! Laser arrow! Odd: So, you wanna play, huh? Laser arrow! (misses the monster) Hey, what’s my problem today, huh? Jim: Help me! I don’t wanna die! Samantha: Hey, I thought you said no-one else knew! Odd: It’s ok, they’re my pals! 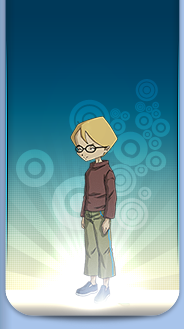 This is Ulrich, and this is Jeremy, the genius who’s gonna help you rock! Jeremy: Have a seat, Sam! I’ll show you what you can do when you’ve got great equipment! Jeremy: Now if you don’t mind, let’s focus, ok?